If you’re newly engaged, congratulations! You’ve declared your news to the world, you’re excited to get started on the planning but aren’t entirely sure on what to do or where to go next. We want the entire process to be as enjoyable for you as possible, so we thought we’d lend a helping hand. Type of occasion: Do you want a formal, informal or semi-formal wedding? Do you want the vows to take place in a church? Or get a registrar to come to your venue? Do you have an idea of location? Close to wear your live; where you were born; somewhere in the middle for family? Do you have an idea of bridal party size? Do you have an idea of venue/venue type? Could be: village hall, hotel, estate home, garden wedding, barn venues etc. 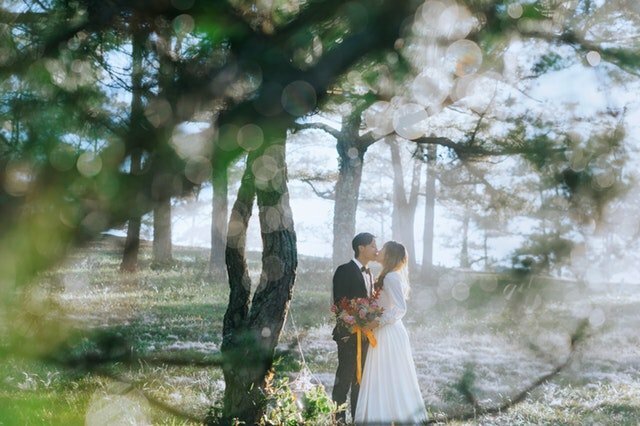 What season would you like to get married in? Do you have a particular month/day in mind? What kind of décor would you like for your wedding themes? Will you want a band or a DJ? What kind of food do you want to have at your wedding? Do you want an engagement party? What is your expectation on hen and stag parties? What do you have in mind for honeymoons? Will you require accommodation the night of your wedding? Once you’ve got an idea of the kind of wedding you would like to have, the next step would be to consider the budgets you’re working to. This can be one of the trickiest things to work out. However, if you’re both clear on what your ideal wedding looks like, you can now start to do a bit of research to find out how much it costs and what you’re willing to make compromises on. 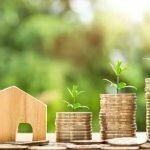 The beauty at this stage is everything is potentially wide open and there are some ways to make savings or help with the financing. Type of occasion: Formal weddings are more expensive than informal weddings, generally speaking. However, you can meet somewhere in the middle to help with the financial aspect. 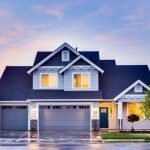 You can pick and choose which aspects are important to you and this can help fluctuate the total cost. Venues: Most venues will have some information available on pricing, so you can get a rough idea at your budgeting stage what feels possible. Look at 3-4 venues that meet the style you’re interested in to see what their offering is like. If you’re flexible on time, you can even get yourself an excellent ‘last-minute’ deal. An additional consideration of your venue cost is food. 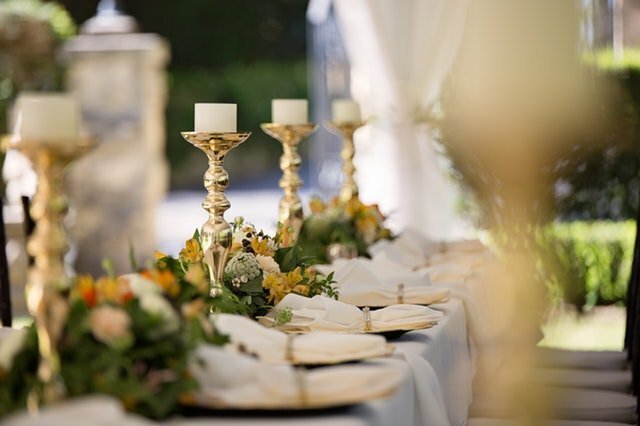 Some venues may insist you use their in-house caterers, others may be flexible in working with outsiders but may charge for the privilege as many make up a discount in venue cost with a food and drinks package. Additionally, how many courses are you intending on having; do you want a wedding breakfast and an evening buffet? What about a drinks package? Don’t forget breakfast the following morning if you’re staying over. When budgeting for this, look at wedding packs for full information or contact the venue to get a base for pricing. Bridal Party: Are you covering the cost of outfits for your wedding party? If you’re wanting a uniformed look, we would say that you need to cover the cost of their outfits. Ultimately, they’re there to be of service to you and they can do that in their own attire, that they paid for. If you want everyone dressed the same, we’d say budget for it. If this is the case, you can reduce the size of the bridal party to help make the costs more manageable. Season: Also plays a major part in the cost of your wedding; as does day of the week. 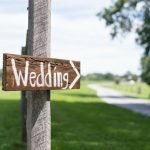 There are ways you can make your wedding more affordable by choosing week days for your big day and/or host your special day in the quieter months. This can help you to negotiate on cost. Typically, the summer months (May-September) are most expensive because of the likelihood of better weather (for outdoor photos), compared to the winter months (November- March; with an exception for December- Christmas and February- Valentines). Details: It feels that when you tell anyone you’re getting married that the price increases 10-fold. It’s why decorations (balloons, table pieces, linens and decorations, stationary etc. ), flower arrangements, cake, hair and make-up all feel really expensive. That’s why it’s important to consider all of the little details of your wedding when you’re working on your budget. It’s best to over-estimate at this stage (again some suppliers will have some guide prices on their websites) and negotiate on the final details a little later. Band or DJ: Some venues may have a resident DJ and as such you may receive a discounted package. If you’re looking to source entertainment elsewhere, you may need to consider travel expenses/accommodations and food arrangements. When it comes to general pricing, the bigger the arrangement (DJ vs. duet/4 piece/6 piece/10-piece band), the greater the cost. Engagement parties & hen and stag parties: If you’re planning on an engagement party and hen and stag do’s, don’t forget to factor this cost into your wedding budget. You may have a great group who want to cover the cost of your hen/stag parties but don’t take it as a given, especially if you’ve got great expectations of these celebrations. Honeymoons: You can always ask for contributions from your guests for your honeymoon as a gift but again don’t take it as a given. If you’re looking to have a honeymoon following your wedding, be sure to factor this in as your payments for it is likely to run concurrently with your wedding arrangements and you don’t want to get caught out on a massive bill at the end. Other considerations: transport, your attire, rings, shoes, accessories (both wedding and honeymoon), photography, videography, gifts (if applicable). To help get your started, work from our wedding budgets document; you have an ideal budget vs. actual cost so you can keep track as you go. Now you know a rough cost of what you’re working with, you determine a payment schedule to help you keep track. At this stage it’ll be difficult to know when you’ll need cash to cover the costs of the various aspects of your wedding as it is dependent on your suppliers demands. However, you can always negotiate timeframes with them. As a rough guide, determine how much roughly you can save a week/month towards your wedding and divide that against the total budget to get a rough date on when you could pay the wedding off by. If you know you’re getting help from family members, don’t forget to factor this in as well. As you’ve worked out what your ideal wedding looks like and you’ve got a rough idea of a budget you’re working to (and potential time frame to save for). It’s time to get planning! We’d make a bee-line for the venues you’re interested in seeing. Some venues book up to 2 years in advance for a particular day so is generally a good place to start. Once you’ve got the date secured, you can begin working on all the other details of your special day- look out for next months article where we’ll share our tips on finding the venue for your wedding. It’s also quite fun to attend the wedding fairs which will also help give you a feel of space, décor and the food and drink at various venues. Additionally, if you’re new to all of this, there will be plenty of suppliers on hand (including transport providers, cakes, makeup, entertainment, photographers etc.) to showcase their services. As a generalised idea, we’ve also created an editable timeline document for you to help with your wedding plans. This will help you figure out what needs to be done by when, with a checklist to help you as you go and a timeline for the day’s events.